Today is April 7th, 2019- the end of Never7, and in turn, the infinite loop. In this final part of the Never7 retrospective, we will go over one last final overview of the game and the legacy it left behind. Never7 ultimately failed the team’s personal goal of outselling Memories Off. 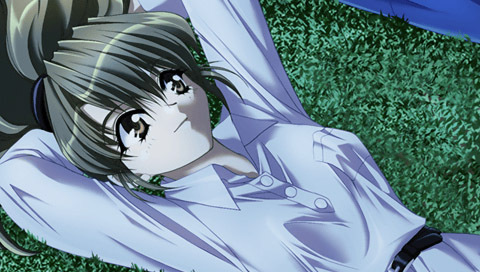 Looking back on it years later, Nakazawa, who thinks of the game as his starting point, commented that the fact the most interesting elements of the story (the mystery/science-fiction elements) didn’t occur until at least halfway through the route was likely a factor, since that meant players wouldn’t be able to get those without investing some time into it. This left Nakazawa wondering how he could get rid of the parts that vaguely didn’t work well in future works. However, Never7 also received high critical acclaim for its routes and ventures into thought provoking science fiction, keeping players talking about it even after it had finished, just as the staff had hoped. Because of the success of these plot elements that could be left to interpretation that lead to fan theories, discussions, and even fanfiction, Nakazawa decided that he should continue to use these elements in future titles, too.The Append Story system also kept fans of the game interested in for quite some time after it had come out. 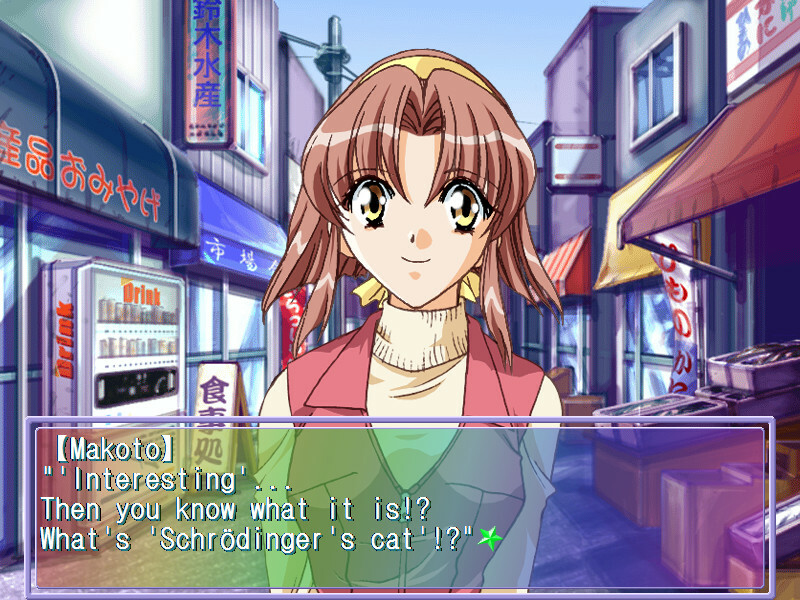 Thanks to the critical acclaim of this game, Nakazawa and Uchikoshi were able to take their careers to newer heights, and KID allowed them to include more science fiction plot elements in their future games. This would culminate nearly two years later, when Never7 would see a follow-up in the form of Ever17- the out of infinity – a revolutionary title that would mark the true break in the staff’s careers. Though ultimately overshadowed by its successors and nowadays considered mainly a “prototype” for them, it’s easy to forget that back when it came out, Never7 stood on its own two feet. Never7 is still remarkable for its unique premise, thought provoking themes, likable cast, and striking plot twists. While a game whose age clearly shows nowadays, the impact it had cannot be ignored. Without it and its proof that science fiction elements could have a place in KID’s visual novels, it’s possible that titles like Ever17, Remember11, I/O, Root Double, and the Zero Escape series may have never come to pass. Regardless of how modern players may feel about it, its legacy will remain a shining beacon to the influence the game had. On a personal note, I still love Never7 myself to this date. While I acknowledge it’s far from a perfect work, playing the game was still a fun experience for me, and I find myself thinking of it from time to time even to this day. I love the cast, the atmosphere, the plot, the thought provoking themes and ideas towards the end, and the routes themselves. It’s the VN I think when I imagine something “light and fun.” And as mentioned before, I still remember my days translating it very fondly, and despite the overall roughness of the project in many different aspects, I don’t regret a single moment of it, particularly meeting so many great people who put their all into the project. 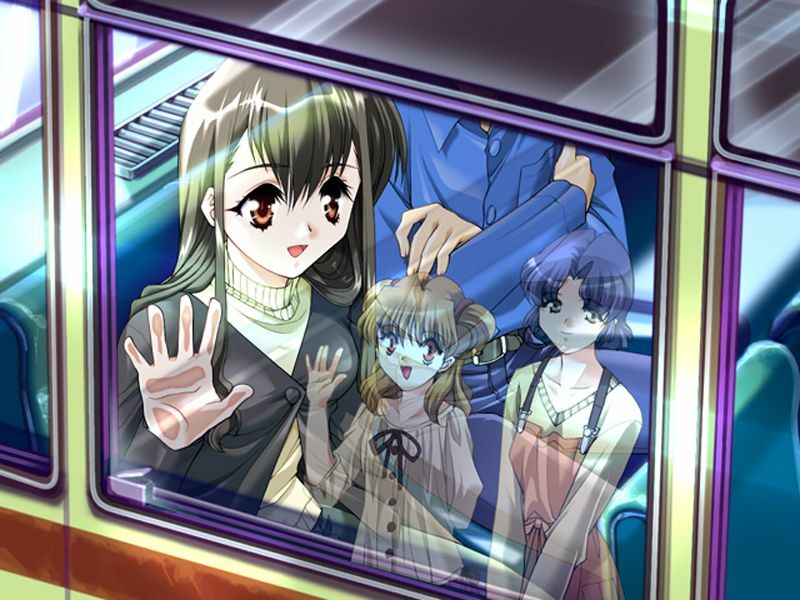 With its relatively decent number of choices, number of routes, its average length, number of routes, and lighthearted atmosphere, Never7 is definitely a visual novel I would particularly recommend to newcomers to get a taste of what visual novels have to offer without overwhelming them. So in the end, Never7 is a game that always will have a special place in my heart. 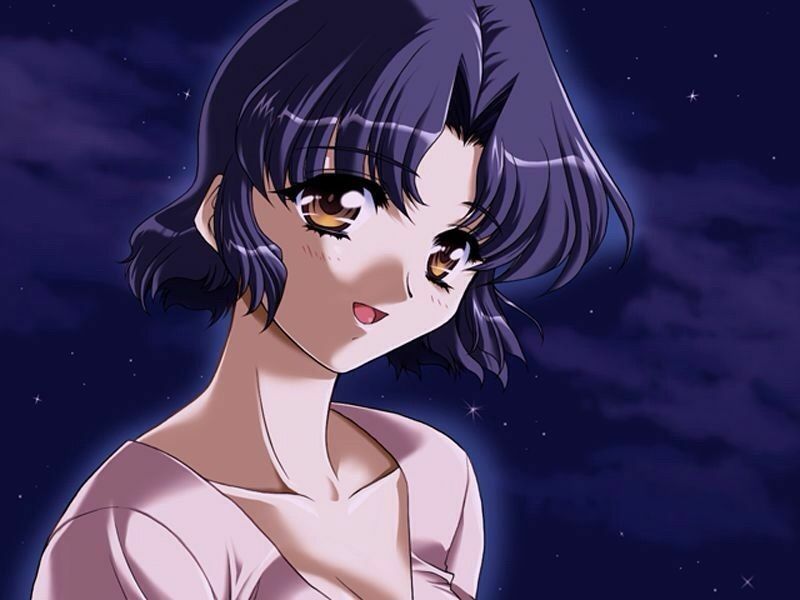 I don’t know if the day will ever come, but it’s a visual novel I would definitely love to see officially come out in English, and if it does, I would love the opportunity to give the translation another go to finally bring the quality up to standards. For today’s retrospective, I would like to turn back to my own experience working on the English fan-translation of this game and how it impacted me. Apologies in advance for the considerable length of this section, once I got started, it turned out I had a lot more to recall than I initially expected! 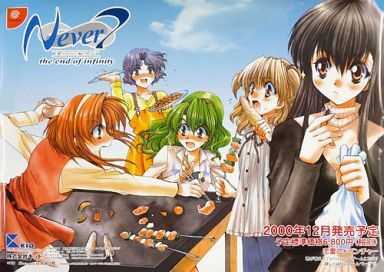 The Never7 English fan-translation project began in August 2010. Having fallen in love with Ever17 the year before, I was eager to play the rest of the series. 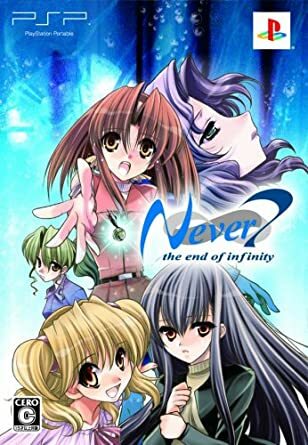 In Summer 2010, I made a trip to Japan, where I bought the remaining Infinity series games on PSP, and played Never7. When I did, I found myself really enjoying my experience and wanted to share it with other people (that, and to have the full Infinity series out in English and to reveal Curé Syndrome to the English speaking community). But there was no English translation or patch in progress, so there was almost no one I could talk about it. Thus, I declared my intention to translate the game in August 2010. I admitted that I didn’t have a way of translating it now, but declared I could start once I got my hands on the PC version, which I intended to get in December. However, it was then that the user Roger Pepitone, who was finishing up technical work on Remember11 at the time, offered to get the project ready, and just a few weeks later, the project was ready to begin. Work began on August 16, 2010. Knowing I was new to translation (the only translation I’d done before then was the Ever17 Drama CDs) and still learning Japanese, I came in expecting to translate it twice- an initial translation, and a final translation. I figured that as I learned more Japanese, I would go back again after finishing the initial translation so I could correct my past mistakes (though 2019 John would have never hired 2010 John for the project nowadays). A part of me was also hoping that I would just be the kickstarter for the project and other translators would join in and help compensate, but that never came to pass (I do recall one user who tried to contribute as a translator, but he just used machine translation, and even a new translator like myself could see how bad it was, so I rejected his work and he never contributed anything else). 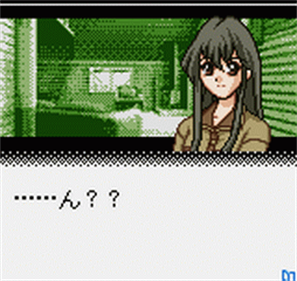 Thus, I ended up translating the entire game by myself, save for one small bit (more on that later). Furthermore, while I did have a translation checker at one point, he only did a little work before disappearing, so I ended up doing the project without any translation checking (save for the details surrounding Curé Syndrome, which I had a Japanese acquaintance check for me to assure accuracy). The translation process itself went by fairly smoothly. The idea of dropping the project never occurred to me at any point, and any delays during the project were caused primarily by my own real life obligations, such as school, taking priority for me at the time. Because I was taking Japanese classes during the translation, I was constantly learning new aspects of the grammar, and stuck to a very literal translation, still lacking the skills to write more freely. Still, I found it very fun work. To me, translation was like solving one huge puzzle of finding Japanese words and matching them with their English counterparts, and so I never got bored of it. Even in times where something felt like it was out of my league, I still didn’t despair, possibly because I knew I could go back to it in the final translation. For the words I didn’t know (and there were many), I ended up using some Japanese dictionary site whose name I can no longer remember that you could paste chunks of text into to have checked, which I ended up doing for nearly all of Never7. It took me about 3-4 months to translate the common route, and I spent about one month translating each heroine route after that. 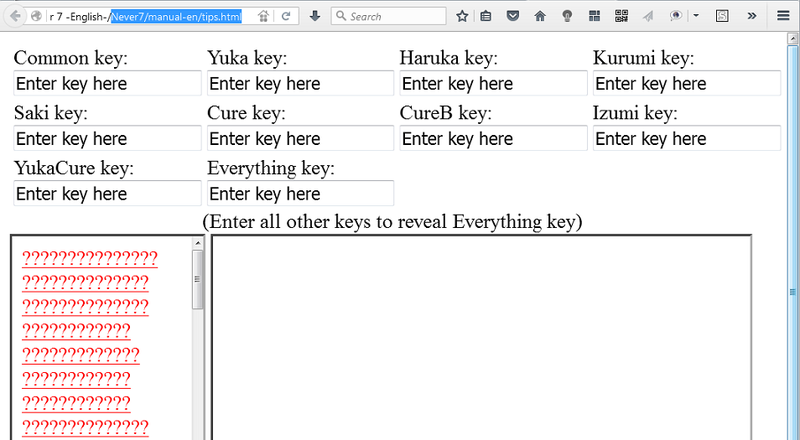 Towards the end of the initial translation, we discovered there were still some important scripts that we hadn’t even had in the initial project that we needed to translate, mostly related to the Append Story system. I particularly had fun localizing any kinds of Japanese puns into English equivalents, which, considering I was new to translation, actually ended up better than I thought. I used the translation of Ever17 as a basis for several localization choices, particular the translation of certain terminology and references (including copying several segments from the Remember11 fan-translation that were originally based off Never7 into English to maintain consistency) and converting metric units into US standard units, like Ever17. However, after the release of the patch, I came to learn that there was a huge audience of English speaking players all around the world in many different countries, some who expressed confusion over these units. I learned from that, and so have ensured ever since then to always keep measurements in metric units from there on out. While the recommended play order is Yuka->Haruka->Saki->Kurumi->IC->Izumi->YC, I ended up translating in the order of Haruka->Yuka->Saki->Kurumi->Izumi->IC->YC, admittedly because Haruka was my favorite character and her route was the one I really was looking forward to doing (as for Izumi, it just felt right to do it earlier than the big plot route that was IC). When the time came to do the final translation, however, I retranslated the routes in the proper order, save for still doing Izumi before IC. Also, while I only translated each character’s common route scenes when the time came to do their route in the initial translation, for the final translation I retranslated all the common route scenes first regardless of character before moving on to each route, which meant that while it took longer to do the common route, the character routes went by faster for the final translation. Regarding the Append Story materials, as a former fanfiction writer myself, I was very intrigued by the system, and translated the materials hoping someone out there would also find the system intriguing and maybe write some stories, though deep down, I didn’t expect anyone to. Indeed, no English Append Stories were ever written. I myself dabbled in Append Story writing here and there, though I ended up never publishing any of the ones I wrote. Work on the final translation began in September 2011, right after finishing the initial translation, which I remember annoying quite a number of people who’d assumed the project was practically done. As I started retranslating the script for the final translation, I quickly realized that this was indeed quite necessary and was going to take quite a while, because the initial translation was littered with all sorts of mistranslations. Virtually all editing work that had been done up until that point had to have been thrown out because of this(nowadays, I wouldn’t have even allowed any editing on any sort of “initial translation,” though no sort of translation like that would even be allowed to begin with), and so I realized the final translation was indeed going to take quite a while. 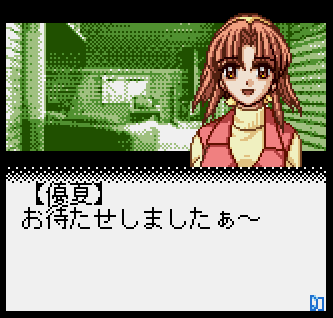 As can be expected of a situation like this, because I was learning more Japanese alongside the project, I felt the quality of my translation improved in later routes as I got a better hand on things. I ended up spending another 10 months on the final translation (I’d initially planned to finish it in June 2012, but was delayed due to playing the recently released Root Double), yet during that whole time, I never got bored of the process. I loved the game, and so I wanted to give it the best possible treatment I could, so I saw the final translation as my way of doing that. Still, I set a deadline for myself to have the patch out by August 16, 2012, exactly two years after it began. I finished the final translation in July 2012, and the next month was spent on finishing the editing and the QC for the final translation, which I oversaw. At one point in the final translation, we actually managed to get our hands on all the Append Stories found in the PSP version. While I wanted to translate them, with how many there were and all the rescripting they would require to work with the PC version, I figured it would take at least another year to do all that work before we could release the patch, and I didn’t want to drag the project out any longer, so I ultimately left them untranslated (plus, I wanted to move on to other projects afterwards). Being new to translation and being one of the two major driving forces on the project, this was also my first experience in localization direction. I didn’t come in expecting or exactly intending to do any direction work, but because of my knowledge of the game and thereby knowing what needed to be done for the project, I just ended up in that role by necessity. Our biggest problem was finding dedicated people to handle the other aspects of the project. I had a vague idea of the kind of work that needed to be done from studying other translation project pages (editing, image editing, QC, and video editing), but because my translation work was taking a long time, it ended up that we didn’t get most of the other big people for the project until much later on – for the longest time, Roger and I were the only project members. I would have balked at not having other dedicated team members ready nowadays, but back then I just went with the flow. We went through at least four different editors during the project, most who dropped out of the project fairly quickly, though the final translation’s editing was almost entirely done by a single user. We also didn’t have a dedicated image editor, which, while not as terrible with Never7 given the low amount of images that required editing, still was problematic, to the point where I ended up image editing the Bad Ending credits myself in Microsoft Paint (though Roger did a cleaned up version of that himself later on). Speaking of which, because I wasn’t very good at recognizing name kanji at the time, I ended up asking a Japanese acquaintance to “translate” the names in the credits for me at the time. In the end, an image editor by the handle of Bu-Bu San would contact us with proposing to do the image editing (he ended up editing most of the original graphics for the English patch, mainly related to the Clear List), and he would go on to do work for us in future projects. The video editing was done by an acquaintance of Roger’s on another project, though ultimately all the subtitled videos (opening movie, credits) were made optional and not integrated into the patch. The team actually didn’t really have a consistent way of talking to each other at first, mostly leaving notes on TL Wiki for each other. Eventually, we moved to AOL chat for any live conversations we needed to have, which lasted for most of the entire project (near the end we switched to Skype for a more modern method). Having gotten introduced into Never7 through the PSP version, I wanted to share the benefits of that version in English from the start, mainly the TIPS. I thought that because this was the only English version people were going to get, they deserved to have as many of the benefits of the later versions as possible. Because the game was originally released in 2000, it had a lot of outdated system settings that I wanted to update to make more in line with future games in the series, and constantly asked Roger if he could put them in the game. In hindsight, I can’t believe any programmer would put up with all the selfish demands I made that stepped way outside the scope of what a programmer needs to do, but Roger not only answered to my call, he stepped up to the plate and went far beyond the call of his duty to make a wide variety of additions to the game. 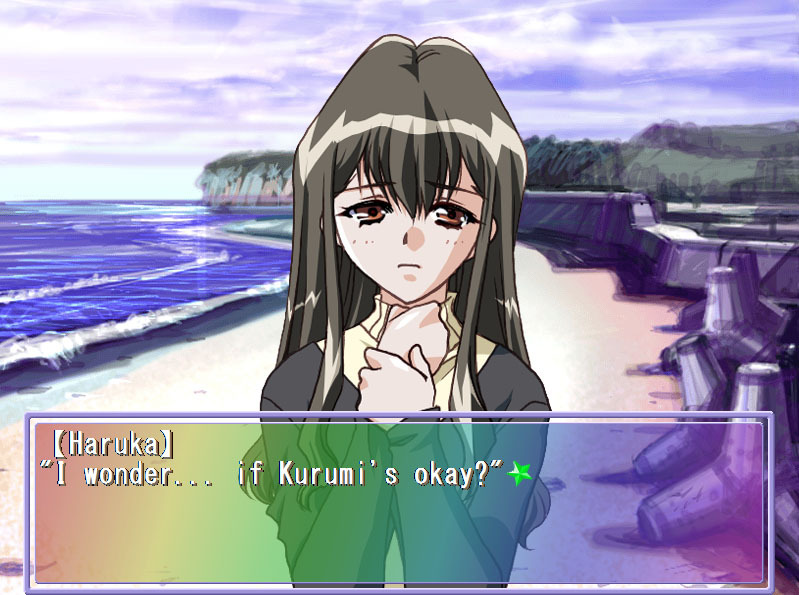 from adding several features to make the game more modern (such as adding a “skip read text only” command, adding a system to color in pre-selected choices, and even adding a Clear List showing the acquired endings, scenes, and scene read completions akin to later Infinity titles with original graphics by Bu-Bu San), to cosmetic changes like making the scene titles appear on-screen (ala Remember11) and changing the game clock from 0:00 to 12:00, and even adding the original epilogue from infinity, which we found in the game’s code, back into the game itself (as an “easter egg” that could only be found through careful hunting of the game’s menus after everything else had been done). While we couldn’t integrate the TIPS into the game like I had hoped, what we did was instead put a TIPS folder in the game folder, and added passwords at the end of each route that would unlock the corresponding TIPS as they showed up. I ended up choosing the passwords based on words I felt were key to the route itself (meanwhile, I chose “SEA ROACH” for the Common Route because the scene where Haruka and Kurumi try to grill sea roaches was one of the route’s final scenes, and I went with “IMMORTALITY CONTAGION” for the overall password as a bit of foreshadowing for later in the Infinity series). Because the TIPS system had many scientific explanations, I was worried I wouldn’t be capable of translating them all well, and so I asked Blick Winkel, who had already accepted an invitation from me to work on the fan-translation of I/O in the future, to translate half of them while I took the other half. One other addition we made to the game was integrating the “Infinity Series Chronology” from the PSP release of Remember11 into the game’s folder as well: since this was the final Infinity game getting an English translation, we felt this was the best time to add it. Blick ended up translating the Remember11 segments of the chronology, while I translated the Never7 and Ever17 segments. One other system Roger did was the soundtrack system. The PC version originally required players to have a soundtrack CD in their computer drive in order to play the soundtrack. However, Roger managed to find a way to instead create a system that allowed players to play the soundtrack without the need to have a CD inside, by having a file containing the game’s music in .ogg format within the game folder. We offered two versions of the soundtrack to the player: the original PC version soundtrack, and the remixed PS2 soundtrack (taken from the PSP version soundtrack). Since the remixed soundtrack was louder, we offered lower volume versions of the soundtrack for players who found it too loud for them. To this date, I am still amazed at Roger’s skills, and am deeply grateful for all the extra work he put into the patch to make it a special experience for English-speaking players. 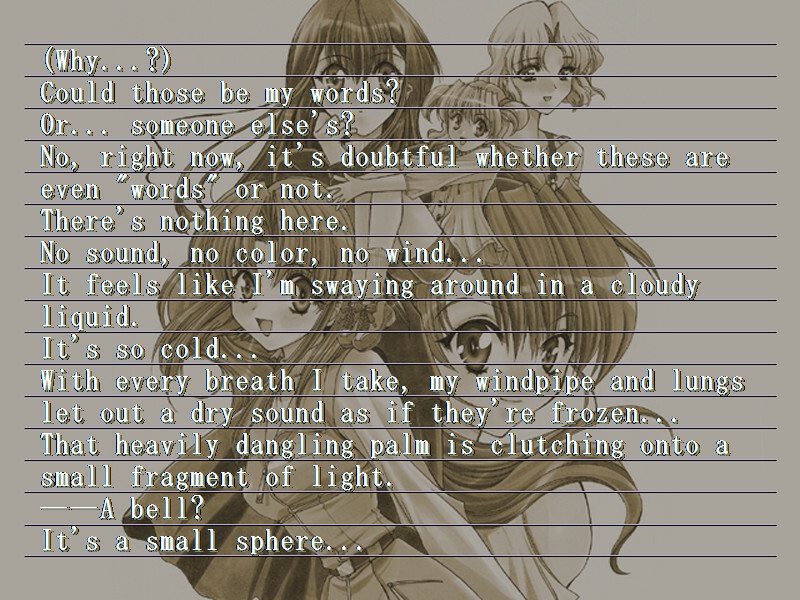 On March 31st, 2012, we released a preview patch for Never7, containing the finalized translation/edit of the Common and Yuka Routes. Because we had been working on the project for over a year and a half by that point, we wanted to give players something to enjoy themselves with while we finished the rest of the project, and thus released this version. We released it on exactly April 1st, 9:17 AM 2012, to match the time the game begins. Shortly after the patch released, a certain player scrutinized the preview patch and pointed out a lot of different flaws and errors in it. Impressed by his dedication, we invited him to join the project to handle QC, which we hadn’t really done much of. That player was Kilicool64, who would go on to be the QC for most of my future projects. Figuring out what needed to be fixed for QC beyond typos and the like was a bit of a learning experience, but definitely an interesting one. In the end, Kilicool did practically the entire QC work, though I made a few passes myself just to test the game and see if there were any bugs I noticed. The QC followed the final editing quickly (the final editing concluded roughly two weeks before the patch was released), and the final QC was actually finished just one day before the actual patch release. The final patch was released on August 17, 2012, two years and one day after the project had initially begun (the patch was delayed a single day from its initial release date to give QC an additional day). 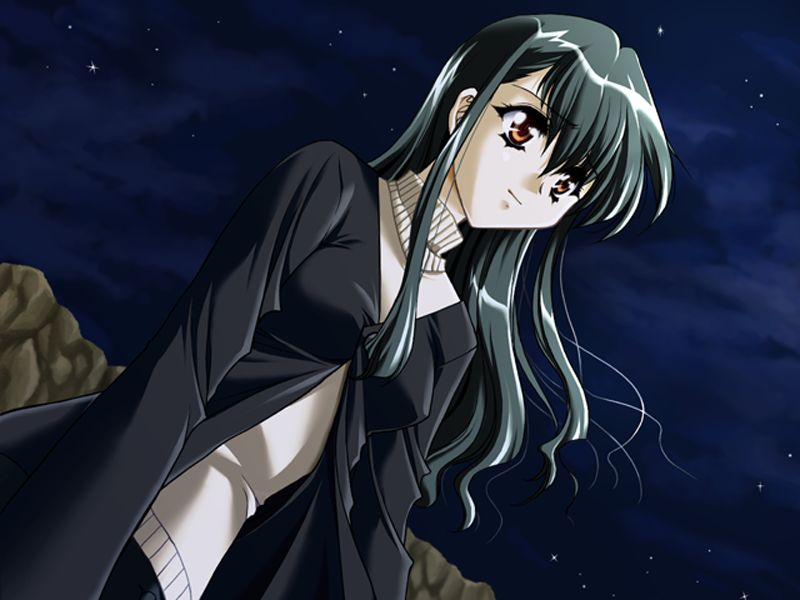 Reception at the time of the patch’s release were rather mixed, the most consistent opinion seeming to be disappointment from Infinity or 999 fans who came in expecting something like those later games only to find the game was much more of a traditional romance visual novel. While it didn’t receive downright hate, it seemed there was a misconception by a number of people who’d come in expecting something else, and so the game released mostly a lukewarm reception, though it still had its fans. Being the last Infinity game to come out in English had not done it any favors. However, it does appear to have been more positively received by later fans who came in without having played the rest of the series and so could play it in original release order, though of course that was counterbalanced by the game’s age showing itself. I was a bit sad to see this, but ultimately still satisfied that we had finally released the game and people could now fully experience the Infinity series in English and seeing reactions and responses to the game. As for the overall translation quality of the patch, while I do believe it’s comprehensible and most of the game’s important parts were translated clearly enough, I’m not very happy with it nowadays, as it is very crude and too literal in a lot of places, along with having certain localization choices I would not have made nowadays. It’s honestly kind of embarrassing to go back and look at it nowadays, most notably in how the lines are translated and how stiff the whole experience comes off. There are also some notable mistranslations here and there, particularly early on. Basically, this was a project made almost entirely by people completely new to localization, and it really shows (though you could joke that ironically mirrors KID’s situation at the time too, with infinity being their second original visual novel project). So basically, the translation doesn’t come anywhere close to matching my current standards, and if I were ever given the chance to retranslate this game once again for an official release, I would gladly do it. Even during the project, I was looking towards the future of my own fan-translations, wanting to translate the remainder of the big “Infinity-esque” works that were not out in English yet, like I/O and 12Riven. I wanted to translate those games in order of release, so I decided during Never7 that I/O would be my next project, followed by 12Riven. However, having played the games myself, I was well aware that those games were far more complicated than Never7, and well-aware how crude my own language skills were, wanted to ensure I worked with another translator on that project much like I had originally wanted to for Never7. During the project, word about the Steins;Gate VN translation came out, and I noticed the translator was using the handle “Blick Winkel.” Recognizing the name from Infinity and figuring that he was a fan of science visual novels to work on Steins;Gate, I figured he was perfect for the job, and so I contacted Blick in early 2012, and he agreed to help me do I/O and 12Riven (though ironically, Blick ended up not doing any work on 12Riven). Meanwhile, an incident occurred in late spring 2012 where TLWiki’s servers suffered an error that accidentally erased the previous three days worth of work. Because of this, I was forced to retranslate three scripts related to Izumi Curé for a third time, after having lost my translations done over those few days. By that point, we had essentially assembled a core localization team together (with the exception of an editor), and because of the general disorganization of Never7 before they had been assembled, made me want to pursue future projects in a much more organized and centralized fashion. This meant leaving TLWiki behind to pursue projects ourselves. So as the project was concluding, I contacted the core team members of the Never7 project and asked if they would like to work together on future projects as a team with a localization group I would be forming. 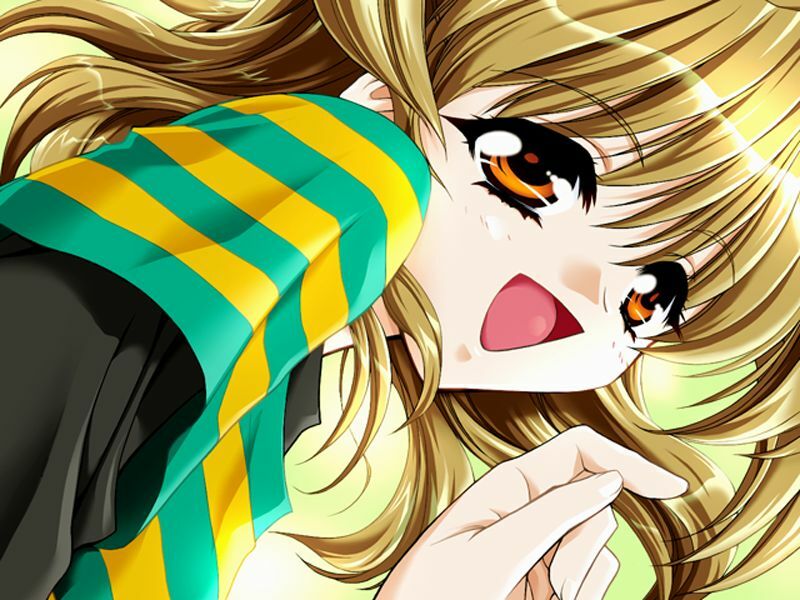 They agreed, and on August 18, 2012, we publicly announced the formation of Lemnisca Translations, created under the idea of translation science fiction visual novels. Blick came up with the name “Lemnisca,” derived from the word “lemniscate,” or the shape of the infinity symbol. Seeing as how we were a group that had been brought together by Infinity, plus how the “Lem” part of the name evoked “LeMU” from Ever17 and “LEM” from I/O, I felt it was a very fitting name. And the rest after that, as they say, is history. In the end, despite the final translation not meeting up to my current standards, I don’t regret the experience a single bit, and I still fondly remember the project to this day. I never once felt bored or like I wasn’t having fun on the project, met a lot of my core team members and friends through this project, learned how localization worked with a rather simple project that didn’t have much pressure on it, and developed my skills through it. I’m glad that I chose Never7 as my first project, since, being a rather lighthearted romance game, my crude translation skills didn’t affect the project as horribly as I would have on something like I/O instead. I’m glad that I was able to “break in” my localization skills on something so nondemanding like Never7 instead of making a total fool of myself on something far more complicated, and I’m especially glad I did Never7 first because it taught me the importance of having a well-structured team, leading to the formation of Lemnisca. 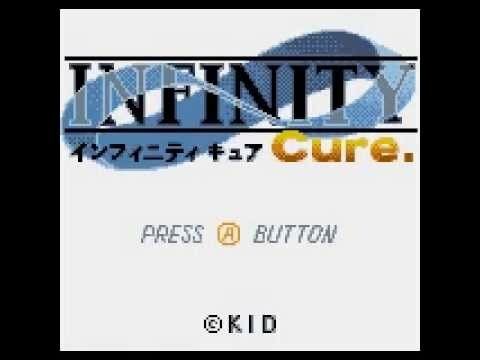 A month after the release of INFINITY cure., the Dreamcast remake of infinity was released. 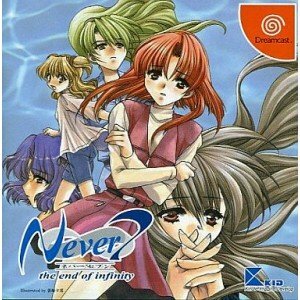 Instead of infinity, the Dreamcast version was titled Never7- the end of infinity. 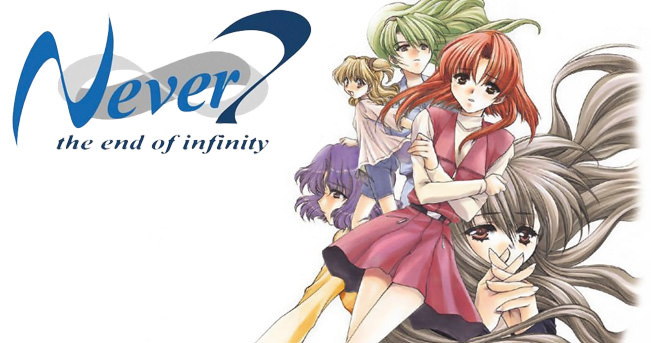 The title “Never7” was chosen for its meaning “never become 7,” referring to how due to the infinite loop, Makoto could never reach April 7th, as well as how all seven cast members could never all stay alive, while “the end of infinity” referred to “ending the infinite loop.” In addition to the original ending of Izumi Curé, Never7 included an additional ending known as the Curé B Ending (renamed to the “Izumi Curé Normal Ending” in the PSP release), made from a desire of the staff to include a shocking “twist ending” in the vein of the recently released The Sixth Sense. These two endings were created to juxtapose each other – while the Curé A ending leaned towards the supernatural solution being correct, the Curé B ending leaned towards the Curé Syndrome solution being correct. A new vocal ending theme was added for Izumi Curé titled “Treasure Dream,” composed by future 5pb./MAGES CEO Chiyomaru Shikura and performed by Tomoko Kawakami. 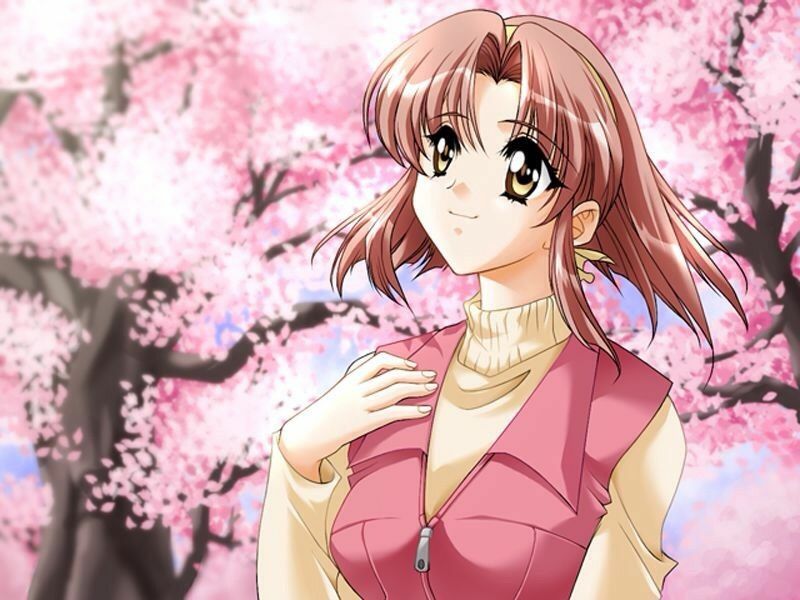 Izumi Curé was also recorded by the same voice cast as Never7, and due to the larger disc space of the Dreamcast’s GD-ROM, the voice acting was able to be included without notable voice compression (though voice acting for all pre-existing infinity content remained compressed). Oddly enough, however, Saki did not have any new voiced dialogue in the new content of Never7, with any new scenes featuring her using recycled audio and dialogue from infinity. 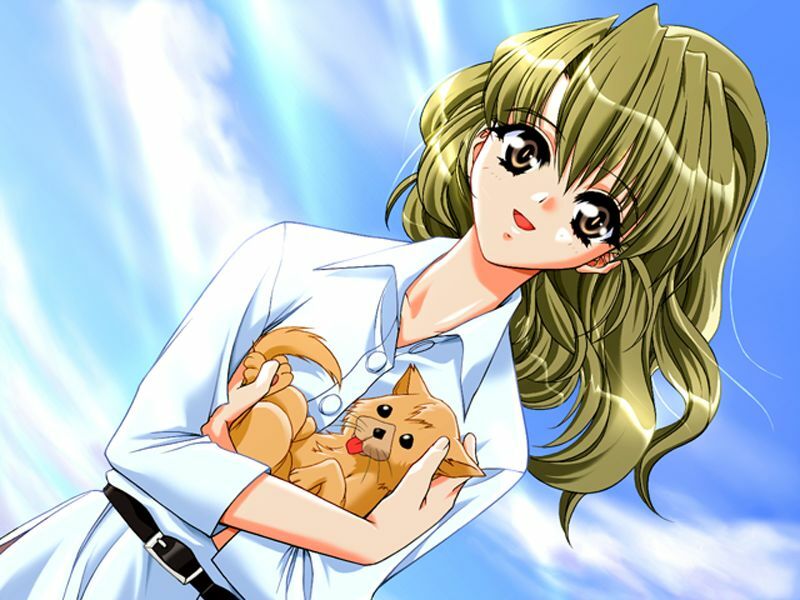 The infamous Izumi Route was instead delegated as a bonus, non-canon route unlocked after viewing the epilogue for Izumi Curé. Also, if a player put the game’s GD-ROM into a CD player, a gag audio skit between Yuka and Kurumi played, as part of a well-known tradition for games at the time. Furthermore, Never7 made use of the Dreamcast’s VMU add-on to allow players to view how they were progressing in their relationships with the heroines. 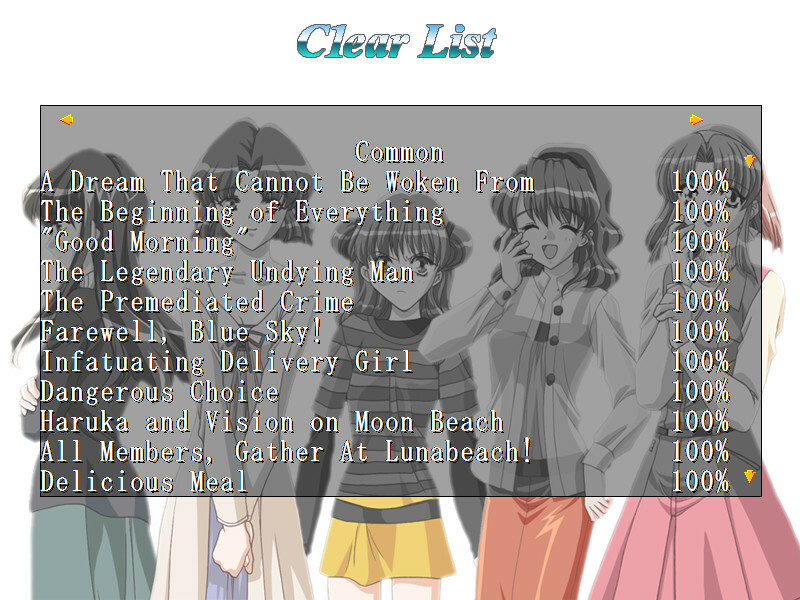 The game also added 23 additional CGs to events that previously did not feature any. Meanwhile, Yuka Cure was delegated not as part of the main game, but as a side-story used as a sample to sell KID’s new unique feature to fans: the Append Story system. Originating as a concept for a separate “Visual Novel Maker” game in the vein of titles like RPG Maker for KID, where players could create their own visual novels and freely distribute them via network (out of a personal desire from KID’s higher ups to do something unique with the Dreamcast’s network features), KID’s programmers quickly realized the concept would have required far too much time and money to accomplish. 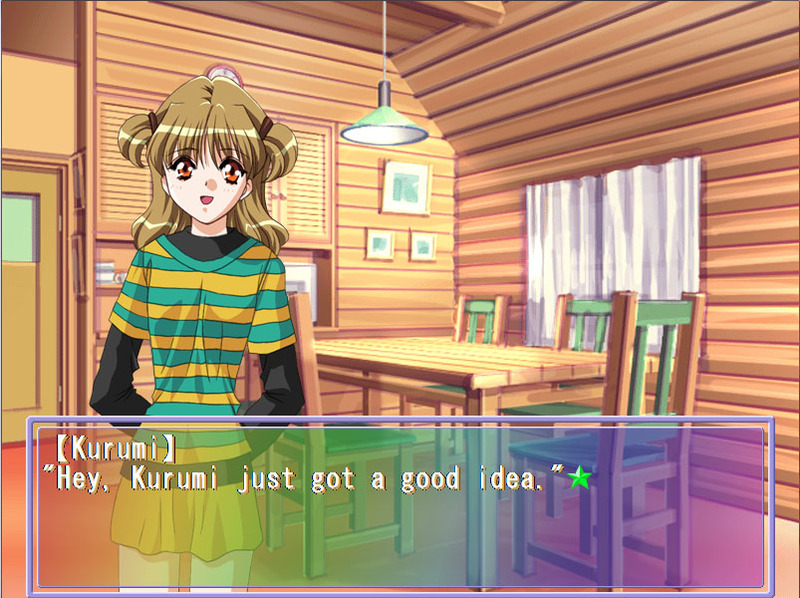 It was then thought it should be turned into a game where players sent their own scenarios to be turned into visual novels, but thought that system would have little appeal. So instead, it was added to Never7. 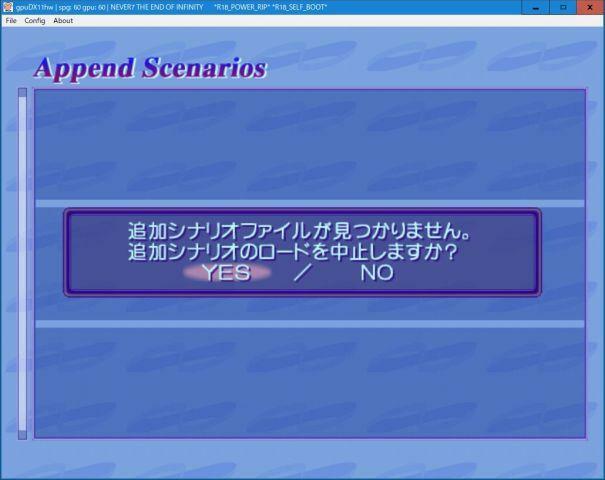 With the Append Story system, players could write up their own fan-written scenarios (essentially fanfiction) and send them to KID. If approved, KID’s staff would take that scenario and put it through scripting and coding, and once a week, they would release one of these scenarios online. Players could download these scenarios through their Dreamcast and play them. The genres of the scenarios widely varied from serious to humorous, taking advantage of the story’s loop gimmick and deliberate ambiguity to justify them. Around this time, KID released several of their setting documentation for players in order to write scenarios with consistency towards the main story. The system was a huge success, and while the exact number has been lost, roughly 50 scenarios were written and released through this system. The system was a hit with players, and as a result, saw continued usage in KID’s future Dreamcast titles, most notably Memories Off 2nd and My Merry May until the system was eventually discontinued around the time of development of Ever17 -the out of infinity- due to the increasing complexity of the settings and stories of KID’s titles. The final result was a generally positive release. 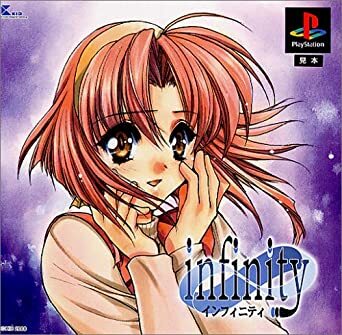 In addition to the pre-existing praise for the content retained from infinity, Never7 received high praise for the Izumi Curé route, as players were reportedly very surprised and thrilled by the game’s sudden venture into thought provoking science fiction territory, and for providing a much more satisfying ending. 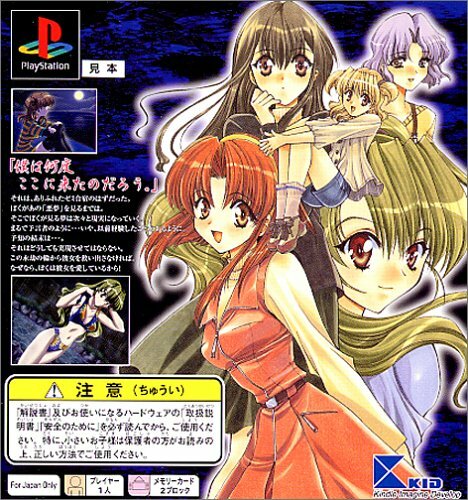 And while the game’s sales ultimately did not exceed Memories Off as its staff had been hoping, it ultimately was a greater commercial success than infinity, giving the game a reputation as a “hidden masterpiece.” However, there were still a few complaints, notably over several lingering mysteries that remained unanswered, and the heightened presence of typographical errors found in Izumi Curé compared to the other routes. However, Nakazawa and Uchikoshi remained unmoved in their stance towards the lingering mysteries, wanting to leave them up to interpretation to invoke fan discussion. The official Never7 site FAQ reflected this view, and years later, Nakazawa would say that each route had its own truth, and there was no singular overarching answer (a view that would be elaborated on in the PSP version). 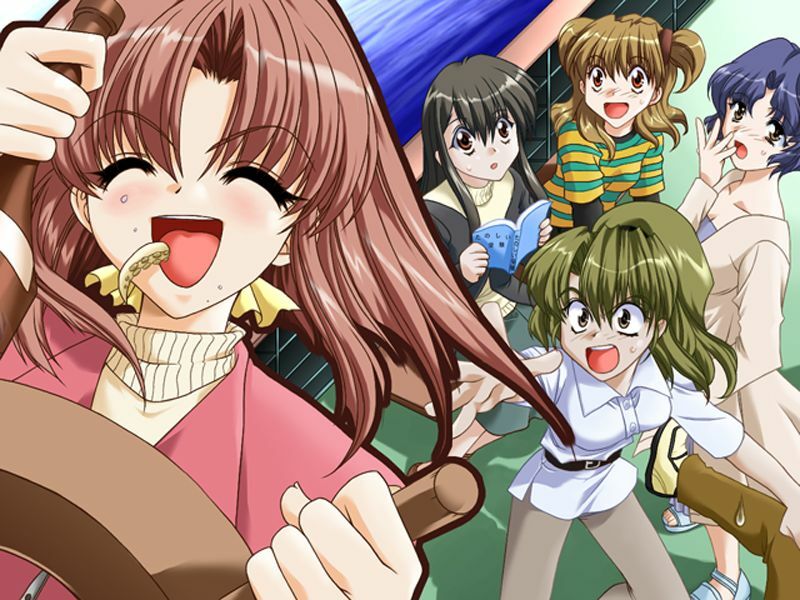 After its release, Never7 was ported to a variety of consoles. First, following the footsteps of Memories Off, it was given a PC release in 2001, containing most of the content of the Dreamcast version, though lacking some of its extra features and requiring to have the game’s soundtrack CD in the PC’s disc drive in order to play the game’s BGM (this version was also included with the 2008 Infinity Plus bundle made to commemorate the release of 12Riven -the psi-climinal of integral, and a separate reprint of the PC version was also released at the same time). Another PC version was released in China in 2002 under the title Shiguang zhi Yao, or “The Wheel of Time.” In 2003, the game was ported to the PlayStation 2, featuring a remixed soundtrack and polished interface. 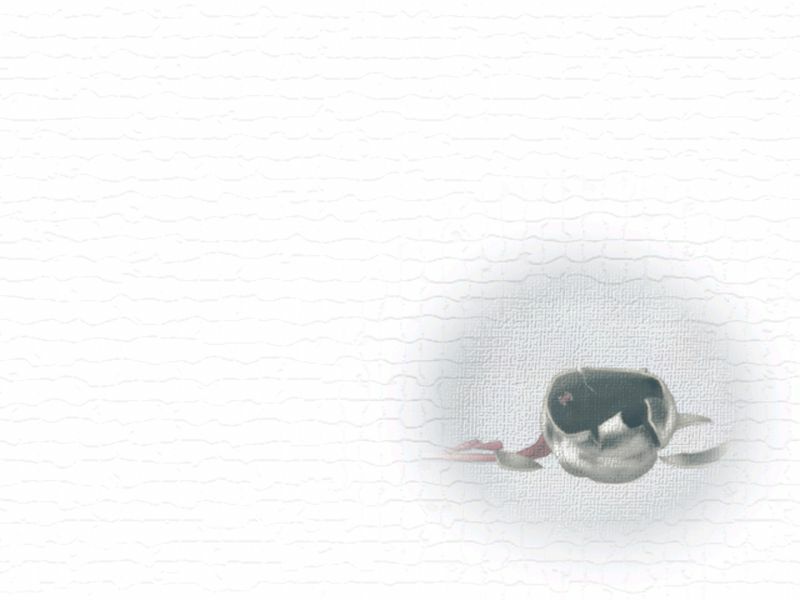 Though the Append Story system had already been discontinued by this time, the majority of the pre-existing Append Stories were also included with the PS2 version. While the PS2 version was planned for a release in South Korea and even had a finished localization, the publisher withdrew from the PS2 market just before it was set to release, leaving the project permanently shelved. In 2009, a PlayStation Portable version of the game was released, developed by Regista (comprised of several former KID staff members, including Nakazawa) and released by Cyberfront (who owned the rights to the Infinity series at the time). Using the PS2 version as a base, this version of the game contained a new opening movie, new opening and ending themes by the band ASRIEL (“Treasure Dream” remained the Izumi Curé ending theme), and the addition of the “TIPS” glossary system that was first introduced to the series in Remember11. These TIPS, written by Nakazawa, shed some further light on the game’s characters, setting, and pseudoscience, clarifying the game’s stance on its deliberate ambiguity. The game’s gallery also featured a collection of promotional art that had been produced for the game over the years. Years later, a digital version of the PC version would be released on Cyberfront’s online shop GameLiner, and even offered the game free in late 2011 to promote the release of Code_18. In August 2012, an iOS port of Never7 was released, included with a calendar, calculator, and several minigames. Both of these releases were eventually recalled when Cyberfront declared bankruptcy in 2014. Afterwards, MAGES acquired the rights to the Infinity series, and in 2015, a digital version of the PC release was released on their online shop Magino Drive, where it remains to this date.